ThIs lamp was specially made for a rich merchant in Mulhouse in 1925 and stayed in the family ever since. It is the first one to be found with all these cheerful cherries, more then a hundred! 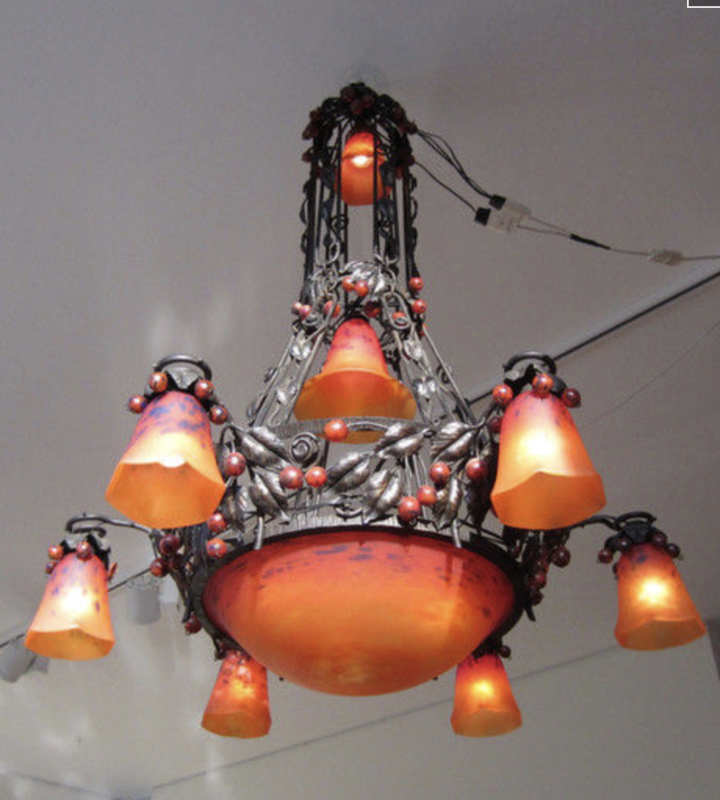 The ironwork was made by the Schneider factory and of course the glass shades as well. The shades are all signed. As the lamp is large, very large, it requires a high ceiling, a minimum of 3 meter. Normally in the hall, vestibule, the ceiling is higher so that you can hang this lamp. The lamp has a fire, a glow to it and spreads a beautiful light. The person who acquires this lamp will be a very lucky person.